The Orange Peel Social Aid & Pleasure Club is a downtown Asheville live music club (101 Biltmore Avenue) that features state-of-the-art sound and lighting equipment rarely found in a club of its size. The smoke-free facility has a beautiful interior, creating a fabulous setting for enjoying the premier musicians who perform here. 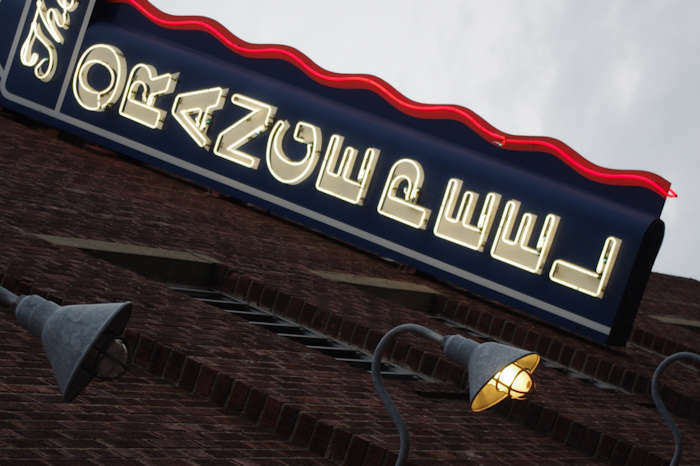 The Orange Peel Social Aid & Pleasure Club's capacity is 1,100 standing, and it is the nation's premiere Live Music Hall and Concert Venue featuring the very best in live music and cultural arts. 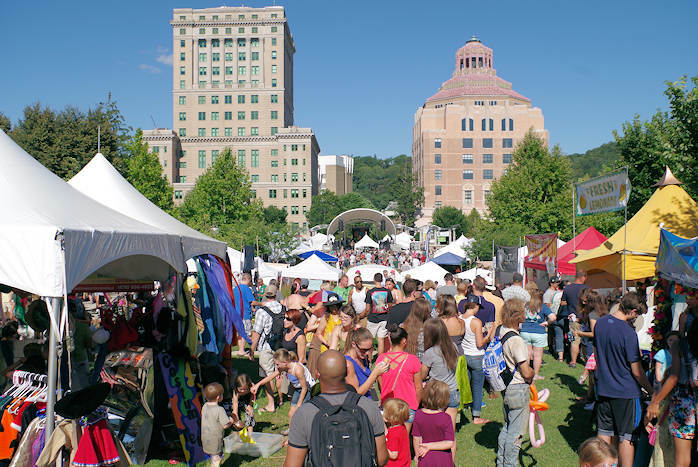 Acts appearing on stage have included Bob Dylan, Flaming Lips, Ben Harper, Blondie, Spoon, Sonic Youth, Damien Rice, Sam Bush and many more. The Smashing Pumpkins did a nine-show run there in June 2007. The dance floor is several hundred square feet of springy wooden slats, and the stage is in perfect view from any angle on the floor. Dancing is a big part of the live music experience, so dancing styles are as varied as the music played at the club! Most shows are standing room only; however, typically, they have 50-70 stools around the perimeter of the room available first come / first served. For many shows, they have a reserved seating area located to the left of the stage. Seats in the reserved area can purchased at the box office for a $5-$7 upcharge. They also have some shows which are designated as partially or fully seated shows. For those shows, all seats are first come / first served. A 75-person private club on the lower level, called PULP, features a funky retro atmosphere with rotating local art displays on its walls, a full bar, and a high definition TV showing a live feed of shows as they happen upstairs on the main stage. It is open during all show nights, and also for solo and acoustic performances during dark nights upstairs. - The closest hotel is the Aloft Hotel, a short walk up the street. - Many of the Asheville Bed and Breakfasts are a short drive away. There are dozens of great restaurants within a few blocks of The Orange Peel. 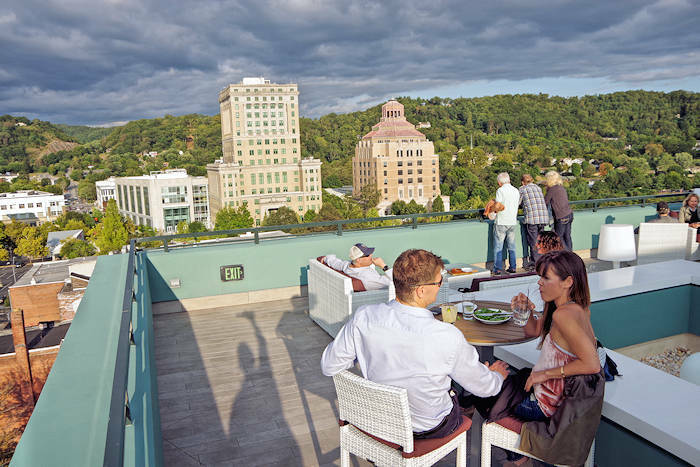 See our Asheville Restaurant Guide and look for those located downtown. 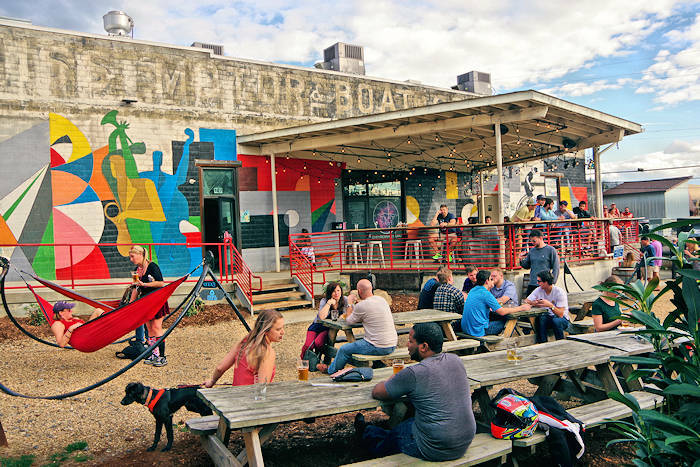 Enjoy a brew before or after a concert at a nearby pub or brewery in Beer City. They do not have our own parking lot. 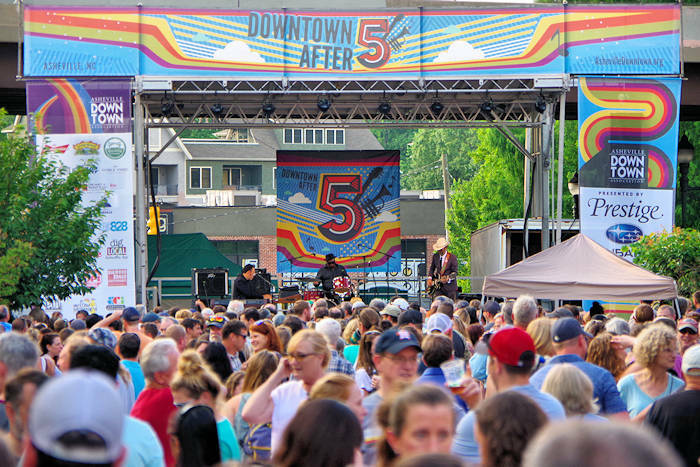 However, like other downtown businesses, The Orange Peel relies on street parking, paid parking decks, and public parking (free after 6pm!). DO NOT park in other neighbors' spaces that are marked as tow-away zones. For the latest, go to their online calendar. Box office hours are Wednesday – Saturday noon – 5:30pm. Sunday – Tuesday, the box office is open 1:00pm – 5:00pm ONLY if they have a show that night. Please note that the box office is open half an hour before the doors open on show nights. Go to the Orange Peel Web site.